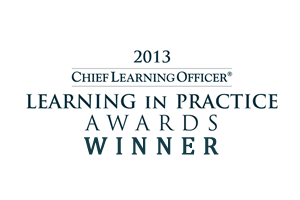 BONITA SPRINGS, FL – October 2, 2013 - Interactyx is proud to announce that its social learning management system (LMS) software, TOPYX®, was named by Chief Learning Officer magazine as the silver award winner of its 2013 “Learning in Practice” awards in the “Excellence in Social Learning” category. Launched in 2009, TOPYX is an award-winning social LMS, software-as-a-service (SaaS) eLearning solution which engages learners in collaborative learning environments for businesses, associations and eCommerce needs of any organization throughout the world. TOPYX was built with integrated social learning tools that improves learner engagement. When coupled with its unlimited users and bandwidth pricing model, organizations can provide TOPYX to all its constituents. Chief Learning Officer magazine is the foremost resource in the rapidly growing industry of workforce learning and development and preeminent source of thought leadership for senior level executives. "The Learning in Practice Awards was established to recognize transformational and visionary leaders in enterprise education," said Norm Kamikow, president and editor-in-chief of the Human Capital Media Group., which publishes Chief Learning Officer magazine. "More than 200 top learning executives and solution providers were nominated by their peers in 15 categories. These finalists are the industry leaders who truly champion innovation and transform it into learning and value for their organizations." Now in its tenth year, the Learning in Practice awards recognizes industry leaders who have demonstrated excellence in the design and delivery of employee development programs. The Learning in Practice awards consisted of nominations being reviewed by industry experts and executives from some of the world's most respected companies to determine the winners in each category.